Invited lecture: Tweet analysis about places using machine learning with Python (brief machine learning theory and hands-on tutorials). 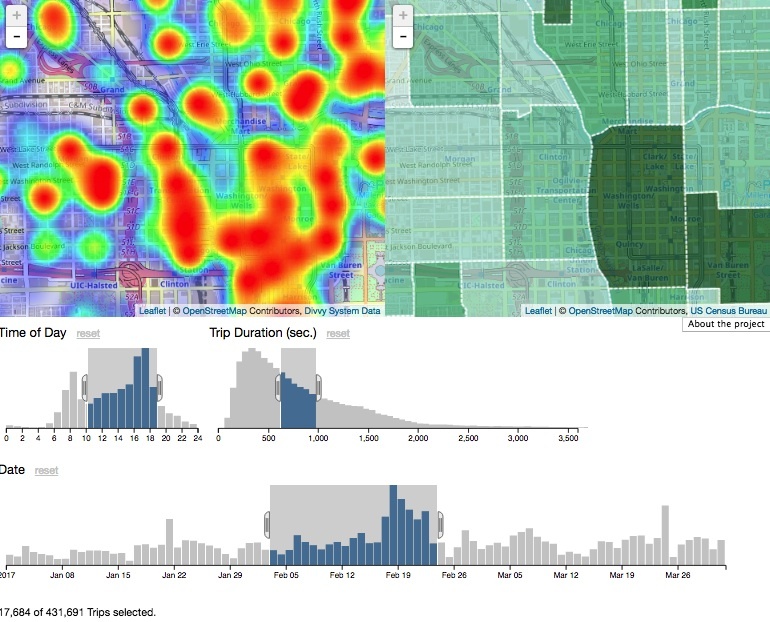 An interactive web app for studying the usage of the Divvy bike share system that services Chicago, by generating dynamic heat maps cross-filtered by histograms, using the first quarter Divvy bike share data in 2017. 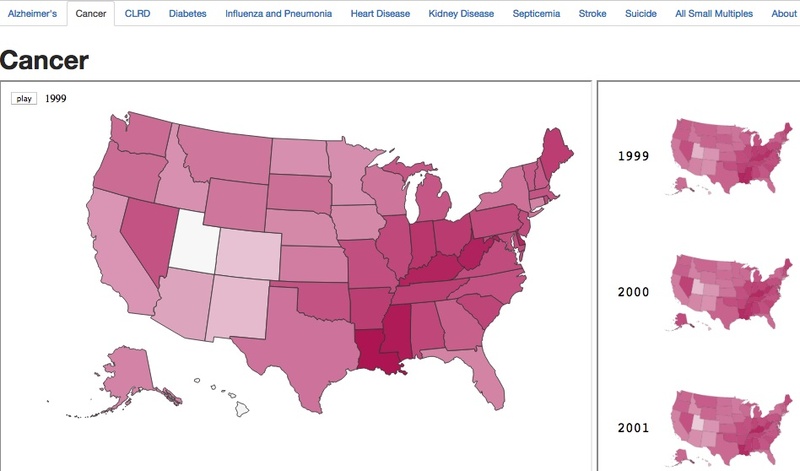 An interactive web app for death rates in the United States (1999 -2015) by an animated choropleth map and small multiples for each of the age-adjusted death rates for the top 10 leading causes of death in the United States. 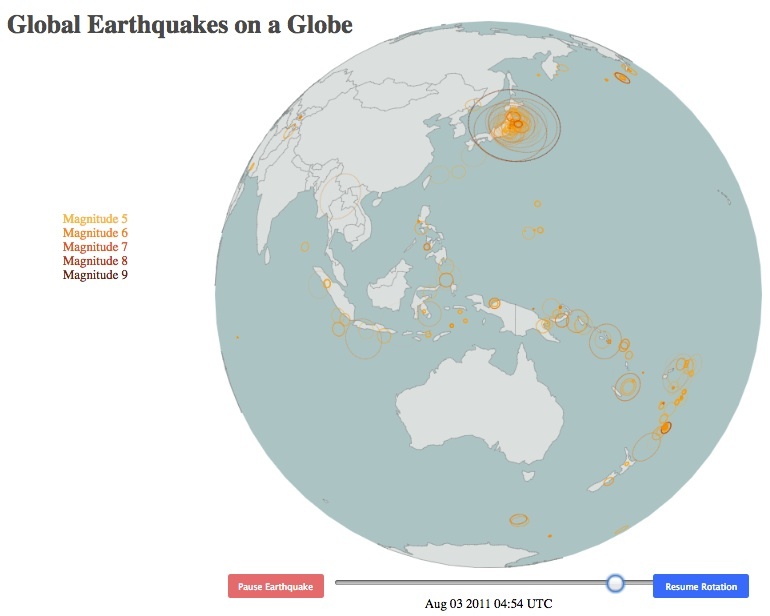 An interactive web app for visualizing earthquakes (magnitude 5+) from 1965 to 2016, by an appealing 3D rotatable globe, and two flat maps where one is cross-filter enabled. 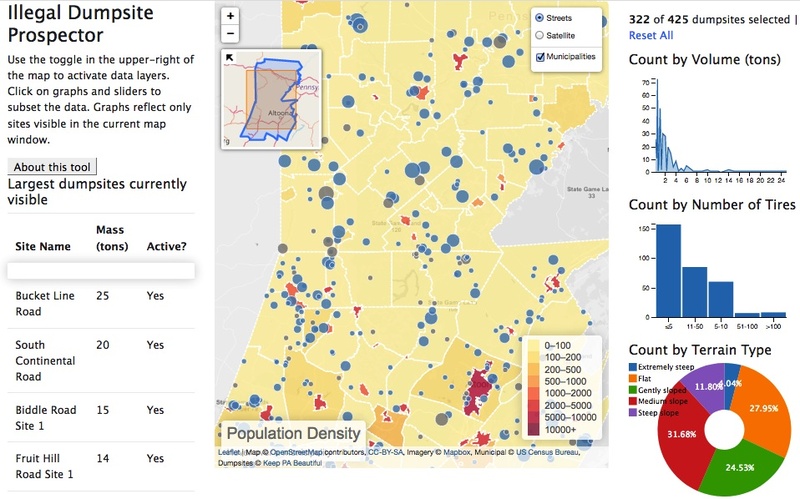 A web-based visual analytics tool for assessing illegal dumpsites in three PA counties, taking a coordinated view approach that presents significant variables associated with dumpsites -- using a map supplemented by a table and analytics charts, which also serve as control elements to filtering the dumpsite dataset.